On Sunday the 2nd of October, the procession with the statue of Our Lady of the Rosary took place in our parish. It is a local tradition in our diocese that even though the liturgical commemoration of Our Lady of the Rosary is celebrated on the 7th of October, the procession takes place on the first Sunday. Mass began at 4. 00 pm. presided by the the Archpriest the Very Revernd Canon. Reuben Micallef; Deacon Mark Bonello delivered the homily in which he quoted Blessed Pope John Paul II’s apostolic exhortation Rosarium Virginis Mariae. The procession came out at the end of Mass; the Rosary was recited during the procession. Priests and parishioners took part. After the entrance of the procession into the Church, Benediction took place. 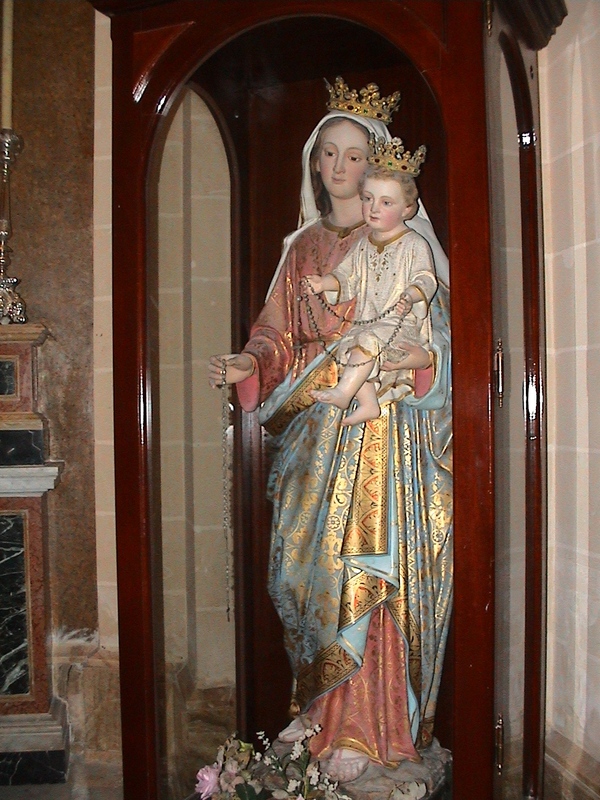 During the various appearances of the Virgin Mary in Lourdes, Fatima and other places, the Blessed Virgin always urged the faithful to recite the Rosary as did the various papes of the last hundred and fifty years especially Pope Leo XIII who is known as ‘the Pope of the Rosary’ and Pope John Paul II who introduced the ‘M’ for Mary in his own coat-of-arms thus going against the very rules of heraldry.